This week, a major co-op release hit store shelves everywhere. Marvel Ultimate Alliance 2 is the latest in an excellent series of action-RPGs, particularly enjoyable for comic book readers or general super hero fans. We discussed the first game in the series, X-Men Legends, for a previous Co-Op Casual Friday. Today, we turn our attention to X-Men Legends 2: Rise of Apocalypse. 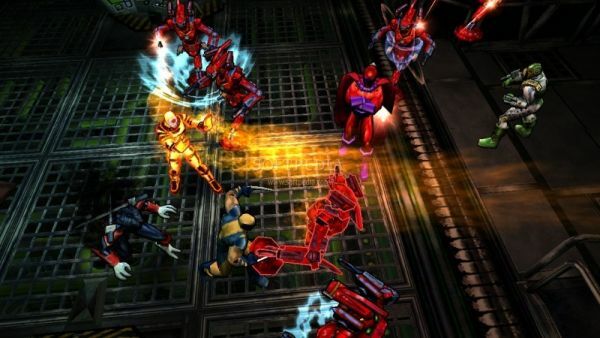 X-Men Legends 2 was released in 2005, scarcely a year after its predecessor. 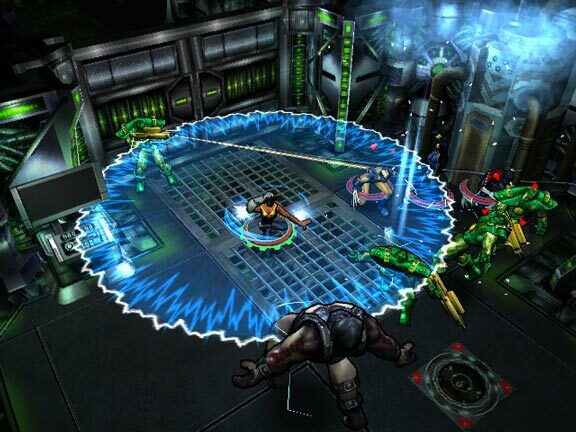 The gameplay retained the effective formula of the first game, which could best be described as Diablo goes Marvel. Health and energy orbs, combo attacks, and character customization all return. As you'd expect for such an early sequel, not much changed at all. For some series, this would be a bad thing, but X-Men Legends was so great, why mess with what works? The biggest draw of X-Men Legends is hinted at on the cover, and made quite apparent early on in the game: a new bad guy is in town, and, faced with a common, larger threat, the heroic X-Men are forced to cooperate with the Brotherhood of (Lesser) Evil Mutants. Yes, Magneto, Juggernaut, and (in case he has any fans) Toad are all playable characters. 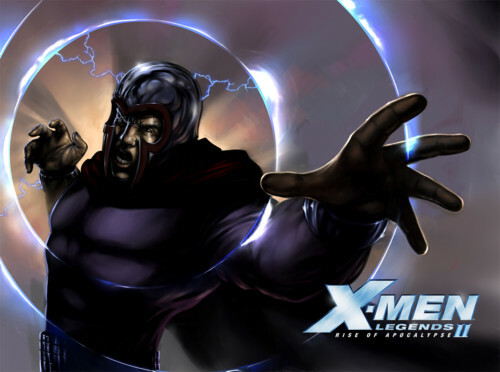 The master of magnetism and the unstoppable force are, as you'd expect, extremely powerful. I found myself more excited by the inclusion of the Scarlet Witch, a favorite of mine from the comics. More widely thought of as an Avenger, the Witch started her comics career as an X-men foe. Not only were the Scarlet Witch's powers awesome, including a very nice party buff and sweet reality altering effects, her old school costume wasunlockable. As with all the other games in the series, dozens of little nods to comics like this are present, and much appreciated by fanboys like myself. Apart from the additional new characters, there are a few other new features added to X-Men Legends 2. Gone are the irritating forced single player levels, a real boon to players two through four of your co-op session. The environments, which were a bit drab and generic for the most part, are far more varied, including a vibrant jungle and the inside of an old temple. Of course, new and improved mutant powers are available, too. Different "builds" of each character add greatly to the replay factor; want to play Storm as a melee brawler? Just try a different set of powers on your nextplaythrough. While the game was a improvement over the original in many ways, X-Men Legends 2 is unfortunately more glitchy and buggy than its forerunner. Most irritating was a save-corrupting bug that happened when you collected too many items in your inventory. This happened to us, and luckily we had a backup save, but we still lost many hours ofgameplay . Eventually, the second save got corrupted, and we had no other option but to restart from the beginning, this time, collecting no items at all. As you can imagine, that wasn't too much fun, and we lost interest. 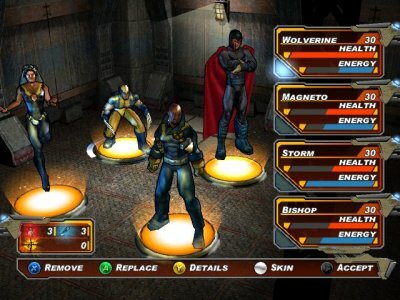 X-Men Legends 2 did feature online co-op, a first for the series, but most reports complained that lag rendered it almost unplayable. The story was a bit convoluted, even for an X-Men tale. Also, Apocalypse, Mister Sinister, and the other villains just aren't as iconic as the members of the Brotherhood, which dulled the fun a bit. Still, there is much to like about X-Men Legends 2: Rise of Apocalypse. Teaming up the Juggernaut, Scarlet Witch, Nightcrawler, and Cyclops to mow through enemies was a very satisfying experience. Even though we never finished the game, I still have fond memories; it's just that good. One final item of interest about X-Men Legends 2: Iron Man andDeadpool appear as unlockable , playable characters. Obviously, this was a natural tie-in to the expanded roster of Marvel Ultimate Alliance, which would be released a year later. When it comes to good co-op that's friendly to the casual audience, you just can't go wrong with a superhero action-RPG. X-Men Legends 2 is a fine example and worth a look if you've never checked it out. Page created in 0.6088 seconds.